A woman with a young child was shot to death after turning her vehicle into a weapon on Thursday afternoon, ramming her way through barriers outside the White House and on Capitol Hill. By the time the ensuing chase ended, dozens of shots had been fired and two officers were injured. The child was unharmed. Coming a little more than two weeks after the Washington Navy Yard shooting, the episode unnerved a city already feeling the tensions between the White House and Congressional Republicans that have ground the federal government to a halt and kept thousands of people home from work. The Capitol was locked down for a half-hour during the chase and shooting. The authorities identified the woman as Miriam Carey, 34, a dental hygienist from Stamford, Conn. They had difficulty identifying her because of the extent of her injuries. The Stamford police roped off and evacuated Ms. Carey’s condominium building Thursday afternoon, and bomb units stood by. Neighbors in Connecticut said Ms. Carey had a child, but it was unclear if the toddler in the car was hers. Despite attempts by uniformed Secret Service officers to get her to pull over, Ms. Carey sped down Pennsylvania Avenue toward the Capitol at speeds up to 80 miles per hour and drove through several red lights, law enforcement officials said. Several minutes later, officers appeared to have the woman cornered in front of the western side of the Capitol facing the National Mall. But as officers, with their weapons drawn, approached Ms. Carey’s car, she rammed it into reverse. Officers tried to dodge out of the way, but the Infiniti struck a police car and raced up Constitution Avenue, where it crashed into a barrier. What occurred next was not clear. Ms. Carey managed to get out of the car, and was shot by several officers. According to a law enforcement official, she was not armed, and it was not known whether she presented an immediate danger. The authorities took her to a hospital, and she was pronounced dead. Ms. Carey was the second-youngest in a churchgoing family of five daughters who grew up in an apartment building on Stanley Avenue in East New York, Brooklyn. Her sister Franchette, who still lives in the apartment with their mother, said that she saw Ms. Carey this week and that she seemed fine. Michael Brown, 33, a longtime friend, said he saw Ms. Carey on Tuesday evening — still in her work uniform — when she picked up her daughter from her mother, who had been baby-sitting. She said she was on her way back to Connecticut. Mr. Brown said Ms. Carey was known for stylish jeans, which she wore with combat boots. “She was a catch,” he said. A former boss, Dr. Barry J. Weiss, who employed Ms. Carey at his periodontics practice in Hamden, Conn., for 15 months, said he and his partner fired her in August 2012. He would not go into detail but said she had trouble getting along with some of the employees in the small practice. “When we confronted her about certain situations within the office, she had a temper,” Dr. Weiss said. At the Capitol, there was panic as it became clear that the police were mobilizing for a security threat. The loud buzzers were a jarring sound in a city still on edge from the shootings last month. Police officers, their semiautomatic rifles drawn, quickly sealed off the entrances to hallways and instructed people to remain where they were. Representative Juan Vargas of California said he was headed to the Capitol when he heard several loud bangs, which he initially thought was a car backfiring. When the officer noticed that Mr. Vargas was wearing one of the red-and-gold pins that are issued to House members, he told him to remove it because he could be a target. The police permitted some members of Congress to walk through the underground tunnel that connects the Capitol to the Senate office buildings. At one point, Representative Darrell Issa, Republican of California, snapped at the officers guarding the entrance to the tunnel, “Let me past, I am going through,” as he marched back toward the Capitol. 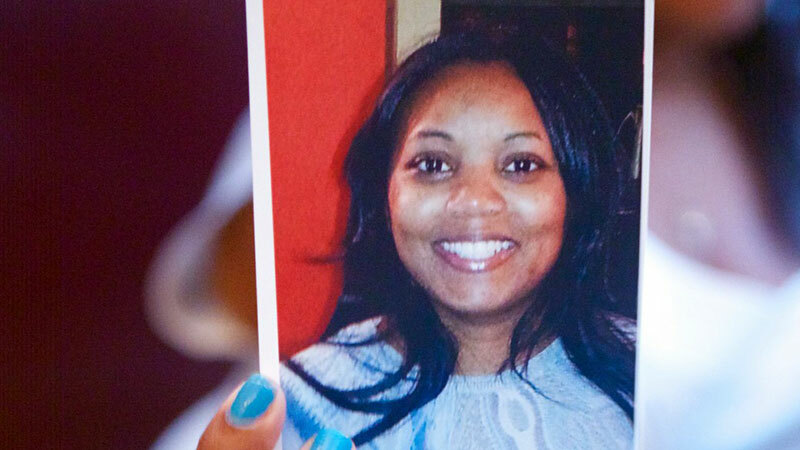 Washington Post: Her name was Miriam Carey. She drove to D.C. from Connecticut with her baby daughter. A U-turk at a checkpoint let to her being killed –and the slew of unanswered questions.